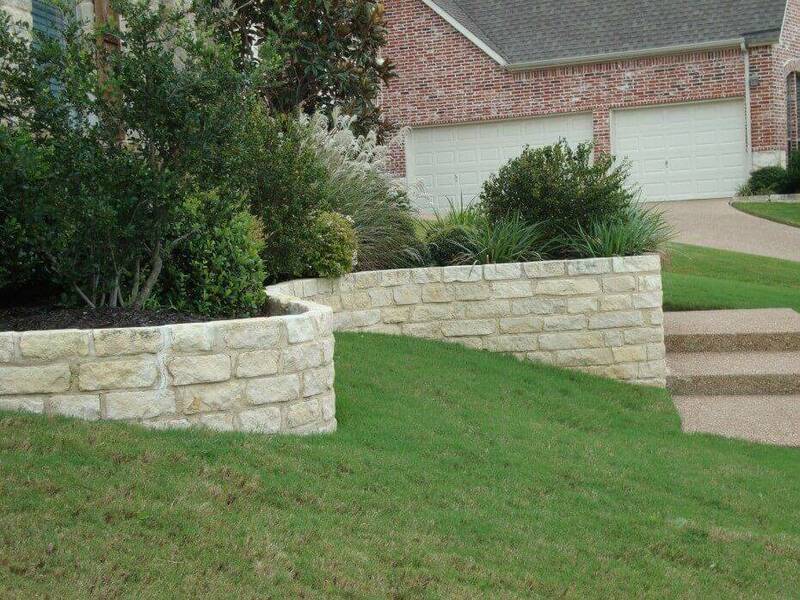 Retaining walls can be a necessary but beautiful part of any landscape project. They can add enjoyment and interest to your landscape needs. There is a large assortment of colors, textures and designs to insure that your property is unique. 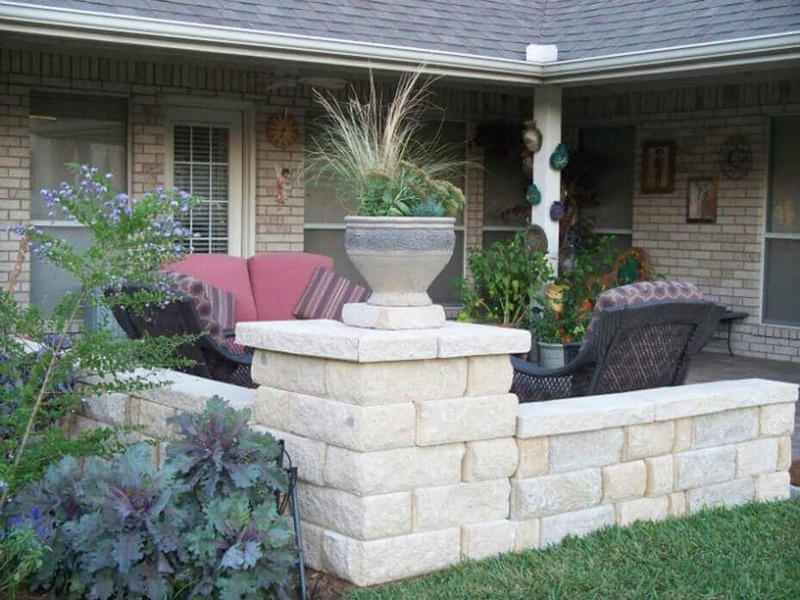 Add waterfalls, lighting or planters to give your retaining walls that special touch. Let Peterson’s Landscape be your choice for making your property you. Appropriate base material, thickness and compaction are essential to ensure your installation will last for many years to come. On the bottom row, each block is placed on the compacted base, and each block is leveled with a transit or laser level. As each additional row is laid, all debris is swept away from the preceding row. In many instances, each unit interlocks with the units above and below it. In larger walls, each unit has a built in setback that automatically forms the correct slope. Detailed precision cuts are made in the blocks in a curved wall design to eliminate gaps or voids in the wall. 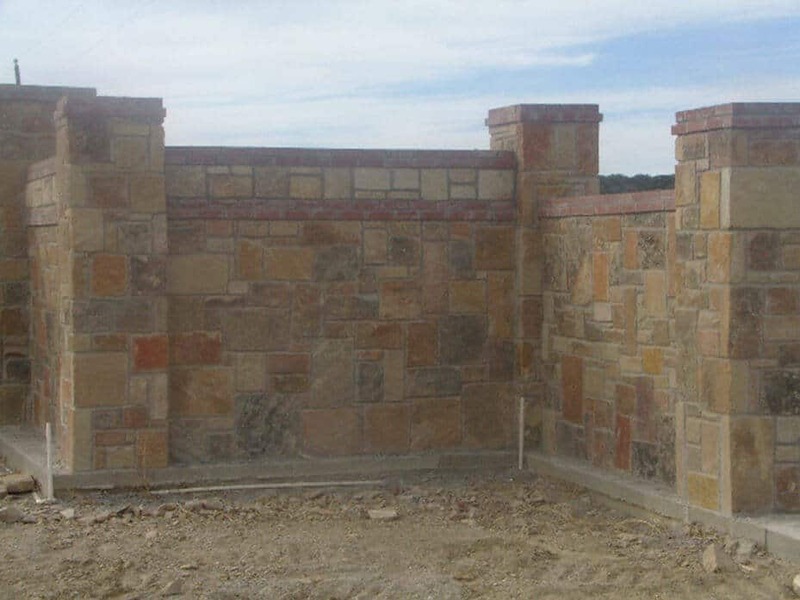 Walls that exceed 4 feet in height must have an engineer design according to Texas law. Geo-Grid or Geo-Tech is a reinforcing material used to add even more stability to tall walls and keep soil from entering the drainage rock area. Walls made using Geo-Grid or Geo-Tech can be made taller and more stable than walls made without it. Geo-Grid or Geo-Tech is recommended for walls taller than 2 feet. Gravel is used behind the wall as a backfill to allow for drainage. In many instances a drainage pipe is also used, along with gravel to aid in the run-off of excessive water. Backfilling is done every 2-3 rows as the wall height progresses. All walls are finished at the top with a cap or with coping if desired. Our work sites are cleaned up on a daily basis. 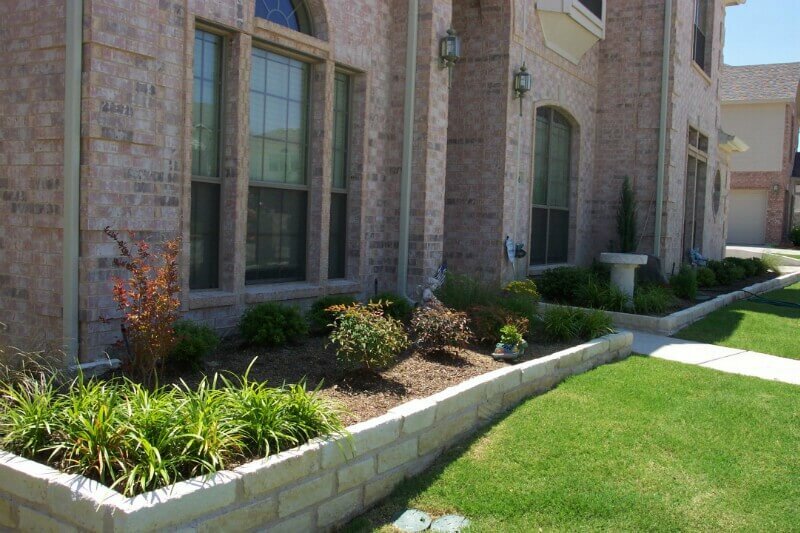 For over 28 years, Peterson’s Landscape has been providing residential and commercial property owners in the Dallas/Fort Worth area with the finest in landscape services. From landscape design and installation to regularly scheduled lawn maintenance services, our expert staff provides the knowledge and experience to help you with your outdoor needs.